TSUKINEKO-Emboss Embossing Ink Refill. 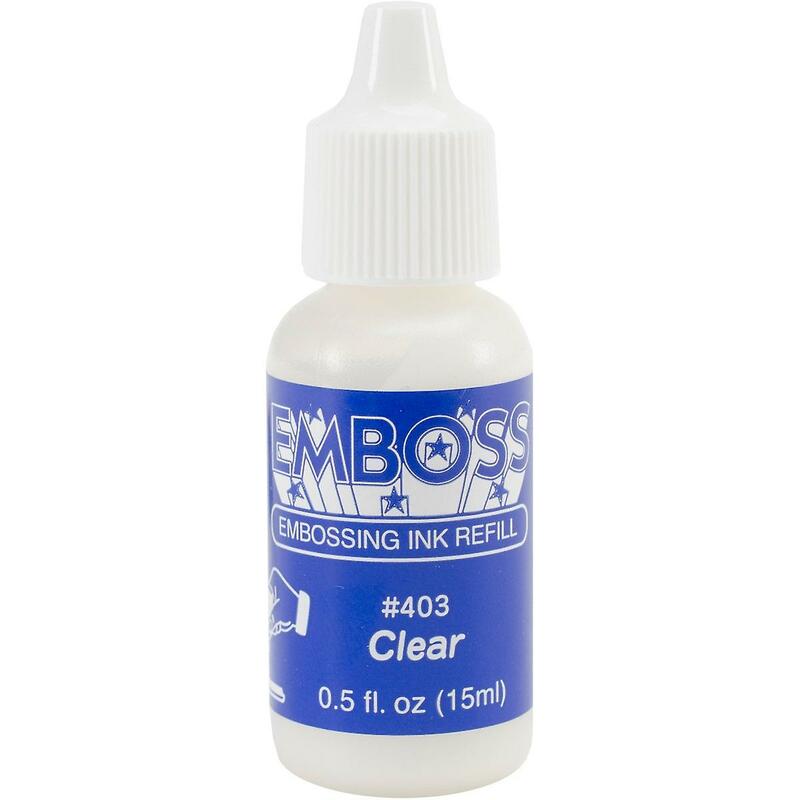 Emboss ink is slow-drying and water-soluble so you have ample time to apply your embossing powder. This package contains 0.5 fl. ounces of embossing ink. Available in tinted pink or clear: each sold separately. Conforms to ASTM D4236 and F963. Acid free.